Celebrating the first observation of gravitational waves from a merging binary black hole. 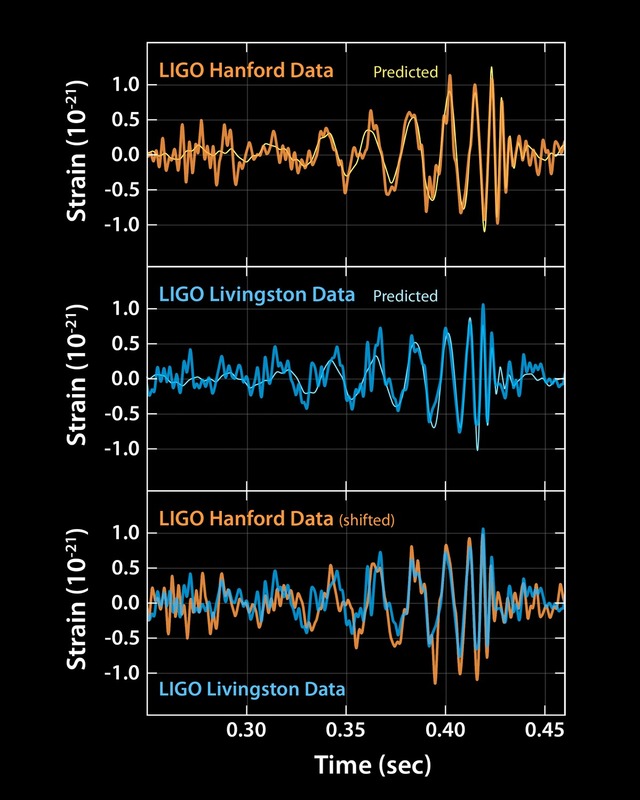 In the 100th anniversary year of Einstein's prediction of gravitational waves, after a 50-year-long experimental pursuing, and after spending most of my scientific career devoting my personal effort to gravitational-wave science, I'm proud to join my voice to the chorus announcing and celebrating the first detection of gravitational waves from a binary system with LIGO. I'm sure I will have more to say about this personally, but for the moment see LIGO's coverage, all the scientific papers, and the excellent articles in the New York Times and in the New Yorker. I have been a member of the LIGO Scientific Collaboration since 2001, and it has been a privilege to witness (and help, if only modestly) the incredible improvement of the experiment, the growth of its community, and the exhilarating last few months of feverish work, culminating in today's announcement. 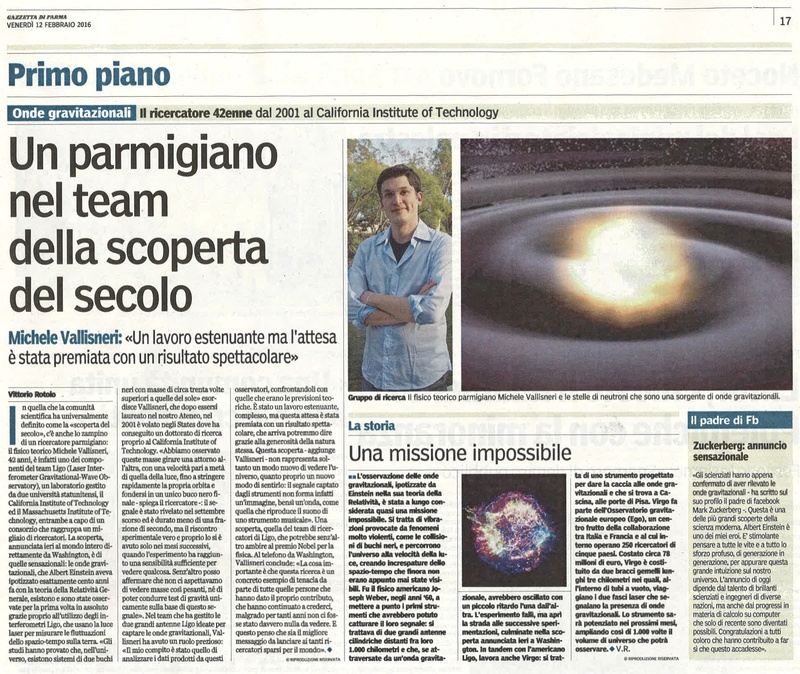 Update: I'm commenting on this news in Parma's Gazzetta, on Wired.com, and on the public radio show Blue Dot. A few months later, on Parma Repubblica.